2018, as stated in my best of the year article, was a pretty standard year for Bollywood, and within that standard, it does encompass a few twists and turns, ebbs and flows, hits with miniscule expectations and misses with mammoth expectations. Despite that, 2018 might just be the gold standard in defining in a concrete fashion that the audience come into theatres seeking more content driven cinema than the mind numbing entertainment we have been accustomed to for decades. All three big budget mega productions starring superstars turned out to be duds, and small budget intimate productions turned out to be box office surprises going on to impress critics and audiences alike. 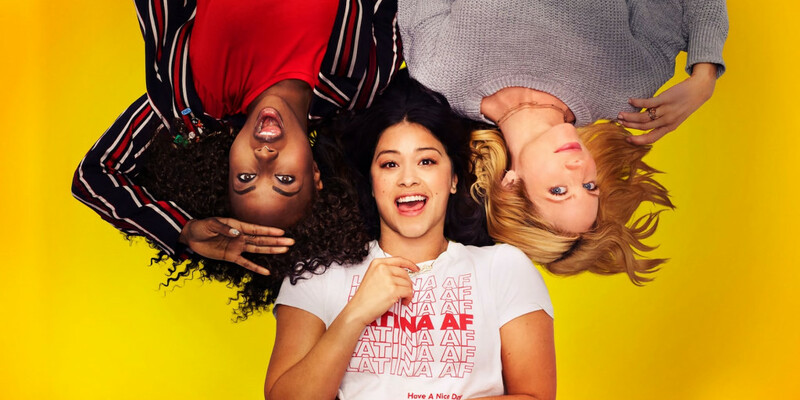 The years following the close of the last decade are witness to this incoming wave, and if the upcoming slate of films in the new year is any indication, 2019 will be no different. However, while even ‘standard’ for Bollywood might just be an interesting ride when trends are observed, there are some things that continue to be tethered to a peg and refuse to change: the darned side of standardisation that ultimately leads to stagnancy before too long. Examples of this include a number of stars banking on the new wave of pseudo nationalistic cinema, Bollywood’s reliance and obsession with historical tales that often fail to do justice to the glory of said history, the occasional star making vehicle, and an array of romantic comedies that barring a few fresh ones, rely on recycling the same tropes over and over again. Reading the article, it would be easy enough to spot at least half that would fall under one of the stated clichés. But then again, in a glass half full scenario, the other half does seem experimental and ambitious in what it seems to try and accomplish. If anything, good cinema does involve appreciating ambitious visions. So, without further ado, regardless of their fate at the box office and in critical circles, here is the list of upcoming Bollywood Hindi movies coming out in 2019 (with their release dates) that sure do get us excited. What catches my eye instantly about this is the title and the poster reveal, that some might be too quick to dismiss. However, the film stars Bhumi Pednekar and Konkona Sen Sharma as the characters in the title, and is touted to be a rebellious social satire helmed by the same team as 2017’s excellent ‘Lipstick Under My Burkha’. If that is any indication, ‘Dolly Kitty Aur Woh Chamakte Sitare’ may just be the surprise cracker of the year, if the censor board can keep its hands away from it. Bollywood’s tryst with inspiring true stories has gained significant momentum following the success of similar movies, especially in the sports genre, where sports biopics saw roaring success. While ‘The Sky is Pink’ isn’t based on a prominent sports personality, it is no less inspiring, since battles fought against great odds have always produced personalities of steel. This story is about the inspirational speaker Aisha Chaudhary who battled pulmonary fibrosis and while the disease consumed her, her positive attitude towards life and inspirational talks made her live on and positively influenced thousands. With Shonali Bose at the helm, I can expect the film to have the right kind of pathos that is required to portray such an emotional story. 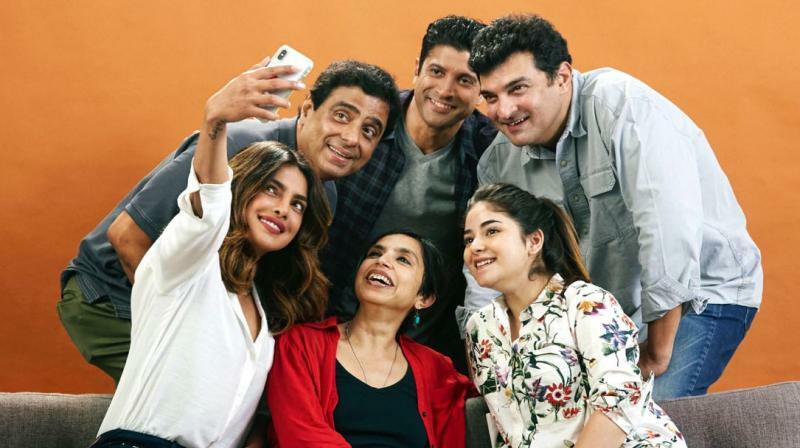 Due for a release later this year, the film stars Zaira Waseem who has already gathered a significant repute for herself as an actor, accompanied by Priyanka Chopra and Farhan Akhtar. The one reason to be currently excited for the film is Dibakar Banerjee’s return to directing feature films following ‘Detective Byomkesh Bakshi’ in 2016 and one among the anthology ‘Lust Stories’ earlier this year. Produced by YRF, this will be Arjun Kapoor’s and Parineeti Chopra’s third outing together after ‘Ishaqzaade’ and ‘Namaste England’, the latter spelling doom for the actors. ‘Sandeep aur Pinky Faraar’ is made as a dark comedy, and will see Kapoor as a Haryanvi cop and Chopra as a high profile corporate worker, as both their worlds collide in a comedy of errors. We all love a good underdog story, and ‘Gully Boy’ starring Ranveer Singh and Alia Bhatt is one such film on the true story of Naezi who made it big as a rapper following his days as an underground rapper in the streets of Kurla. The film will also focus on his association with Divine, and their hit single ‘Mere Gully Mein’. While this is totally unconventional subject matter to handle for Zoya Akhtar, she has time and again proved her mettle in handling stories closer home with pathos, especially after her wonderful directing stint in ‘Lust Stories’. It would be interesting to see what Akhtar brings to the table, and coupled with Singh’s infectious energy, this may just be the surprise hit of the year. Well executed comedies of error have always been terrific times at the cinema, especially in Bollywood where such films are rare, often starting nicely but end up losing steam in the second half. An exemplar in this category would be the terrific ‘Delhi Belly’, but attempts following it have been mostly sparse. ‘Bombairiya’ attempts to step in the same arena with one of the most interesting ensembles in years, including Radhika Apte, Akshay Oberoi, Adil Hussain, Siddhant Kapoor, Ravi Kishan and Shilpa Shukla. The film revolves around Apte’s character in the film, Meghna, who has her phone stolen, getting stuck in an increasingly complex sequence of events involving people ranging from cops, actors, politicians to goons. The film is a dark comedy that promises to showcase a different facet of life in the city that never sleeps: Bombay. Being cited as India’s first space film on promotional fronts, ‘Mission Mangal’ is the story of India’s successful probe missions to Mars starring Akshay Kumar in the lead role, supported by Kirti Kulhari, Taapsee Pannu, Sonakshi Sinha, Vidya Balan, Sharman Joshi and Nithya Menon. Due for a release in the later part of 2019, ‘Mission Mangal’ might just be a force to reckon with if it delivers on all that it promises. Lots of eyes on this one. Sujoy Ghosh who stunned the cinematic world with his superb ‘Kahaani’ is yet to repeat the brilliance of his first success, and this looks like it might just be it, following the rather disappointing ‘Kahaani 2’. The film stars Amitabh Bachchan and Tapsee Pannu, a pairing that I’m unsure can disappoint, a glimpse of which can be seen in 2016’s excellent courtroom drama ‘Pink’ and is a remake of the Italian thriller ‘Contratiempo’, a cult classic in its own right. Given the dearth of quality thrillers in Bollywood, ‘Badla’ has huge boots to fit in if it turns out to be a good film. Dulquer Salmaan beyond impressed me with his understated Bollywood debut in the charming ‘Karwaan’ last year, and while his stint in Mani Ratnam’s ‘OK Kanmani’ is no mystery up north, I am really excited to see his growth as an actor in Bollywood. Pairing him opposite Sonam Kapoor playing the eponymous Zoya, the film is an adaptation of the bestselling novel of the same name, wherein Zoya, through a tumultuous set of events becomes the Indian Cricket Team’s lucky charm, and Dulquer plays the Indian skipper in the team who is sceptical of this superstition. Cricket and romcom is a potent mix if done right, and while I too am sceptical about the direction, given the popularity of the source material, I will give the film a chance to surprise me. Indian cinema is far from accepting, even acknowledging the presence of its LGBT community, and if there is one popular medium that I believe can bring about a difference in opinion to decades of the ignorance and stereotyping, it has to be Cinema. Unfortunately, seldom have Indian filmmakers realised the true power of the medium at their disposal, and have hence passed on the now sensitive subject matter for fear of being shunned, diminishing monetary returns, or both, and have contrarily embroiled in marring the image of the continuity to mine juvenile laughs. Serious LGBT cinema has existed in India in sparse pockets, as a subplot, or strictly limited to the arthouse circuit, but for bringing such an idea to fruition in a mainstream Bollywood production, Anil Kapoor deserves virtually all the appreciation he can get. While I am still in doubt regarding Sonam Kapoor’s prowess to portray a sensitive character such as this, she has surprised audiences earlier with ‘Neerja’, so keeping my fingers crossed on that. As always, it’s a delight to watch Anil Kapoor and Juhi Chawla together, and Rajkumar Rao does add some credibility to the proceedings. The film’s official hashtag is #letlovebe, and this is a step in the right direction which is to be appreciated. Bollywood and remakes of South Indian blockbusters now share an almost inseparable relationship, even lamentably so, and ‘Kabir Singh’ joins the long list of such films. The film is a Hindi language remake of the wildly successful and crazy ‘Arjun Reddy’, and stars Shahid Kapoor in the lead role of the short-tempered drug-addicted surgeon whose ex-lover, played by Kiara Advani, is married off, while he spirals into an inescapable circle of rage, drugs and alcohol until finally being rehabilitated. Directed by Sandeep Vanga, also the director of the original, ‘Kabir Singh’ is scheduled for a 21 June release. As it turns out, quite a few production houses and big stars had been eyeing a film on the glorious Battle of Saragarhi, wherein an army of 21 sikhs fought against 10000 Afghans in a battle of great honour and valour. 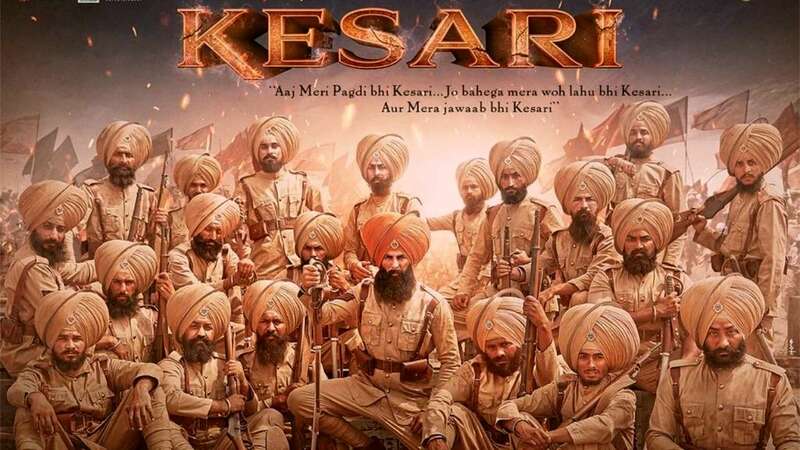 Turns out, there is touted to be more than one adaptation of the tale, all of them in the works, but the first one to hit the screens next year in March would be Dharma’s ‘Kesari’, starring Akshay Kumar as Hawildar Ishar Singh, one of the 21 soldiers who laid down their lives in defense, holding their ground, and Parineeti Chopra. The film is being directed by Anurag Singh, and if the success of ‘Punjab 1984’ is any indication, they might just have the right man for the job. It baffles me to no extent as to why there hasn’t been a film documenting the valour of Rani Lakshmibai before this one. One of the big festive releases of 2019, ‘Manikarnika: The Queen of Jhansi’ has dropped two trailers till date, the second one more comprehensive and better than the first, showing a ferocious Kangana Ranaut in battle, in counsel, and in charge of the throne and her family, one of the many reasons this historical tale of resistance is so endearing even today. One of the many positives the trailer displays despite the many standard tropes that also bring it down, is that the makers do not seem to hold back when it comes to the display of violence in battle, however choreographed it may be, a frequent complaint with many similar films. While this may lead to a narrower audience base, it may just be that the eligible audience is in for a more raw, grounded, hard hitting take. Fingers crossed for this one. Kangana Ranaut and Rajkummar Rao’s eclectic pairing in an adult comedy? Count me in right now. The duo reunites following ‘Queen’, but their relationship is to be nothing like in their previous film together. Joining them are Amyra Dastur and Jimmy Shergill for what promises to be an irreverent madcap thrill ride. Looking at the posters, I can say that they are living up to the title of the film. While its release still hangs in the balance, ‘Super 30’ is already one of the top films I want to see do well in 2019, and the primary reason for that would be Hrithik Roshan’s long absence from the scene since 2017’s ‘Kaabil’. The film currently is marred in controversy following numerous allegations of sexual misconduct against its director VIkas Bahl and Phantom Productions’ inability to act upon it, something that is bound to inadvertently hurt the fate of the film. Originally scheduled for a January 25 release, this film based on the true story of Anand Kumar and the team of 30 gifted, underprivileged scholars he trained for the JEE is to be Phantom’s last production since the company’s unfortunate dissolution this year. 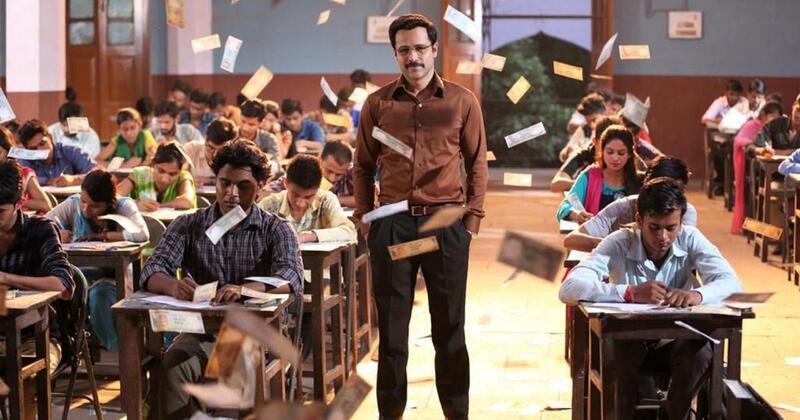 With ‘Cheat India’, Emraan Hashmi looks to tackle the flawed education system in the country, particularly how it has been commercialised beyond repair to an extent that lakhs of deserving candidates don’t get their dues, while institutes produce heaps upon heaps of underqualified professionals. A few films in the past have tried to shine a light, albeit with a lighter tone, on all that is wrong with the education system in India, but ‘Cheat India’ particularly focuses on the practice of buying into institutes of higher education post senior secondary school, especially in the engineering and medical streams, and how parents are an equal ploy in that, which is a delayed but necessary move. Then again, it is good to see Hashmi in the role of a street smart wisecrack after a long while. 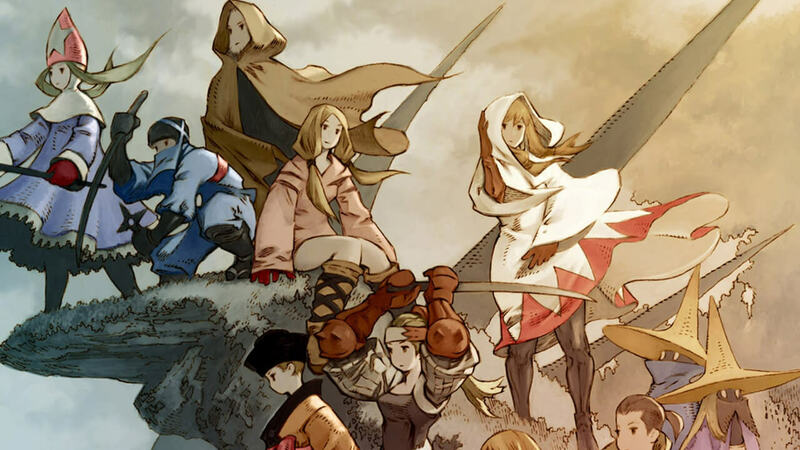 2019 might just be the year that brings multi-starrers back in the game following years of the larger than life one man shows we have been accustomed to. Dharma has some big things in store for us in 2019, and it is evident that even with their years of hackneyed commercial romcoms, there is a wave of change coming, and in my opinion, 2016’s ‘Kapoor and Sons’ bore first witness to this. 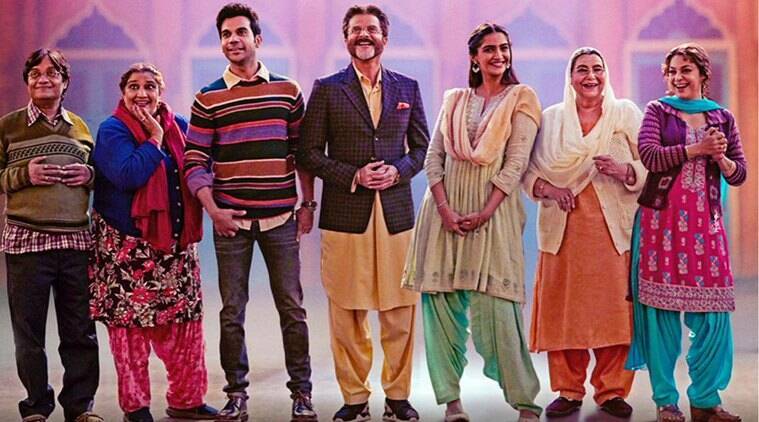 Certainly one of the biggest productions of 2019, and Abhishek Varman’s second following the very entertaining ‘2 States’, ‘Kalank’ has a starcast just shy of an organised filmy family: Alia Bhatt, Varun Dhawan, Madhuri Dixit Nene, Sanjay Dutt, Aditya Roy Kapoor, Sonakshi Sinha, Kiara Advani and Kriti Sanon. While that alone should be reason to look forward to it, the film boasts of an enviable production value being a period drama set in the pre-independence era in India. Despite all allegations of inciting riots in the state and often taking a violent stance regarding the views and ethnocentrism of the party he founded, there is no denying his godlike image among the Marathas, and that Bal Thackeray was an enigmatic leader and orator. Nawazuddin Siddiqui comfortably steps into these shoes, and as is visible from the trailer, is mostly able to embody Thackeray’s mannerisms with aplomb and uproar. If the overwhelmingly positive reaction the trailer and Nawazuddin’s glimpse in the role has received are indicative of things to come, ‘Thackeray’ may just be the political hit of the year. Vicky Kaushal has come a long way since his excellent debut in ‘Masaan’, and 2018 saw him on a roll. The actor in him needs no further commendation, and ‘Uri: The Surgical Strike’ will be among the very first releases of 2019. 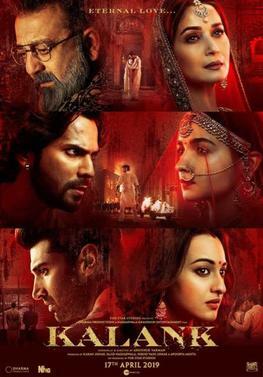 The film has been able to garner a lot of positive hype based on its premise: the very publicised retaliatory surgical strike following Pakistan Military’s attack on Uri, and to be honest, the promos do look promising, and the acts by Vicky Kaushal accompanied by Yami Gautam and Paresh Rawal do look bravura. 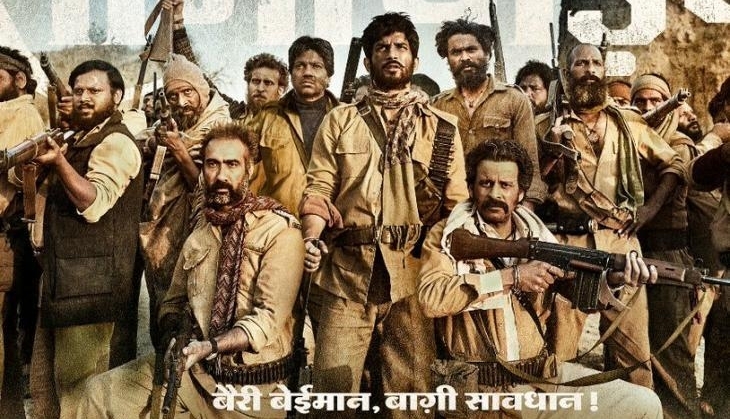 However, amidst allegations of the strike being misleading, and the tensions between the two nations at a fever high pitch, the onus the film bears is unimaginable. 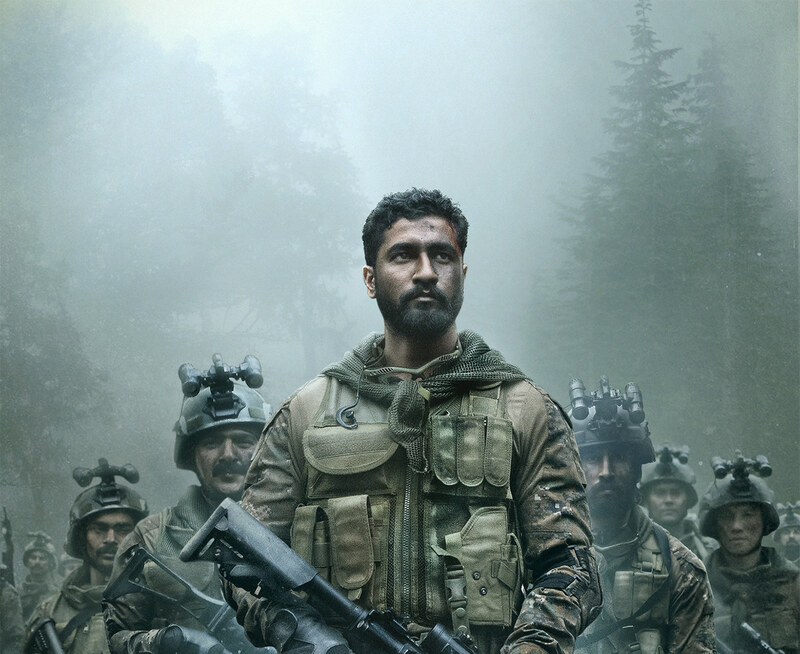 A sensitive treatment of the subject matter sans the jingoism, respect to the armed forces, and tightly and skillfully filmed sequences of the actual strike are what will help the film live up to the mammoth responsibility ‘Uri’ bears. If Abhishek Chaubey can continue his golden run with grounded stories from the hinterland of India, following ‘Ishqiya’, ‘Dedh Ishqiya’ and ‘Udta Punjab’, all rather excellent films, I can be assured that ‘Sonchiraiya’ will be among the very best 2019 has to offer in cinematic terms, and for right reason; the man has got his skill of bringing raw stories from the heartland of India’s rural class to life on point. Accompanied by a fantastic cast in worn down looks including Manoj Bajpayee, Sushant Singh Rajput, Bhumi Pednekar, Ranvir Shorey and Ashutosh Rana, all explosive actors nailing the accent and owning the dacoit persona, this tale set in the badlands of Chambal promises to be an all guns blazing, foul mouthed and bloody telling of one of the most infamous regions of India. Catch a glimpse of its teaser to know what I am talking about. When Dharma Productions terms a film project ambitious, and pitches in 250 crores for a single film of a planned trilogy based on fantastic, supernatural elements set in contemporary times, even the harshest critics are bound to raise their brows in excitement. What’s more is that the film will bring together Alia Bhatt and Ranbir Kapoor for the first time, a pair I have been rooting for since long, along with Amitabh Bachchan under the direction of Ayan Mukerji, and the trio alone should be a blast to watch on screen. Dimple Kapadia, Nagarjuna, Divyendu Sharma, Mouni Roy and Kriti Sanon are touted to appear in important roles too, and if you as an audience can appreciate films with a grandiose sense of vision, you should be as excited as I am. Given the able hands this film is in, it should deliver too.